Hamilton, Ontario – July 30, 2018 – McMaster’s Centre for Probe Development and Commercialization, which converts research on medical isotopes into new diagnostic tests and cancer treatments, has received a significant boost in the form of $10.5 million in federal funding. Canada’s Minister of Science and Sport Kirsty Duncan visited the university’s commercialization hub at McMaster Innovation Park to announce a total of $79.8 million in federal funding for five National Centres of Excellence for Commercialization and Research across the country, including McMaster’s CPDC. The four-year commitment to McMaster’s CPDC makes it the only National Centre of Excellence for Commercialization and Research to receive three rounds of federal funding. “We are grateful for this investment and proud to have this opportunity to prove that our discoveries can be scaled up to improve human health while also creating important, high-quality employment,” says Karen Mossman, McMaster’s acting Vice President, Research. The federal funding, together with continuing funding from the Ontario Institute for Cancer Research and industrial partners, is expected to propel the CPDC through the critical next four years of its operation, which includes working with leading private sector and academic partners to develop and manufacture radiopharmaceuticals – an emerging class of diagnostic tests and treatments for diseases that include cancer and heart disorders. The CPDC, located on the west part of McMaster’s main campus, has created spinoff companies that include two in Hamilton: Fusion Pharmaceuticals and NuGeneris Inc. Both companies will be co-located with the Fraunhofer Project Centre for Biomedical Engineering and Advanced Manufacturing at McMaster, and other emerging biotech commercialization initiatives, in an environment designed to facilitate mutual success. The funding will be used to translate and commercialize new radiopharmaceuticals with particular emphasis on products developed from therapeutic medical isotopes. Through innovative local, national and international partnerships, and by creating learning opportunities for young entrepreneurs, CPDC will create new businesses and employment opportunities. By the end of the funding period, the aim is for CPDC and its spin out companies to support as many as 200 jobs. 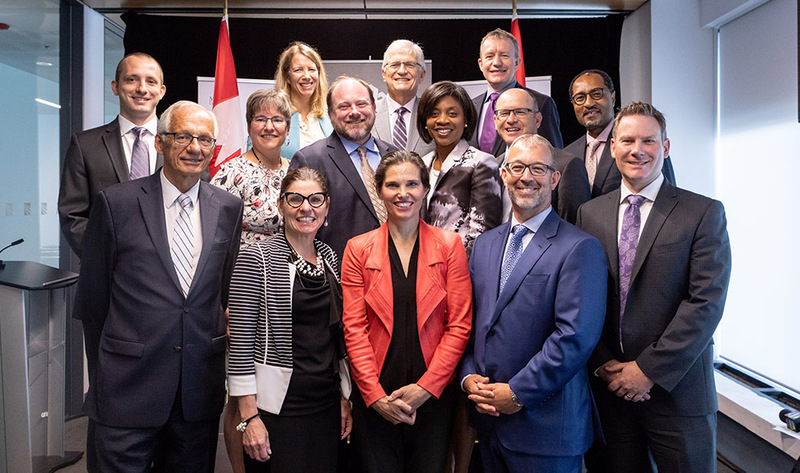 Minister Duncan announced five grants, totaling $79.8 million, to be delivered through the Centres of Excellence for Commercialization and Research (CECR) program. The five hubs are located in Hamilton and Toronto, Ontario; Montreal, Quebec; and St. John’s, Newfoundland.